Supreme Court’s 5-judge Bench Announces the Ultimate Verdict Today: Women of All Cast and Age are now allowed in Kerala’s Sabarimala Temple!!! The Supreme Court’s 5-judge bench finally pronounces the final judgment on Sabarimala Temple Case today at 10:30 am exact. For the last week, people were speculating so much as nobody was sure what verdict the Supreme Court will ultimately announce. 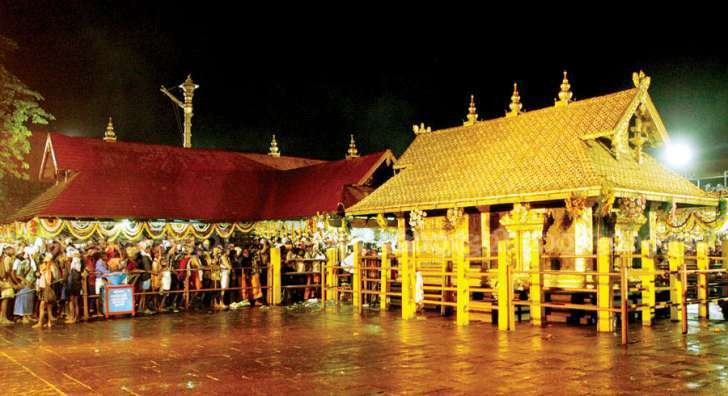 Now, it’s clear the women of all casts and all ages will be allowed to enter in Kerala’s Sabarimala Temple. If you are unaware about Kerala’s Sabarimala Temple, then check out the details of the case in the briefing. For last few decades, Kerala’s Sabarimala Temple has been restricting women who come in the menstrual age group (10-50) from entering in the campus of the temple. According to the traditional rituals, Sabarimala Temple praises Lord Ayyappa’s deity who is actually considered to be a celibate in the Hindu Vedas. In relation to this old traditional custom, women who belong to that particular age group were not allowed to visit the Sabarimala Temple. Sabarimala Temple case was registered in the Supreme Court so that the rule of banning women of menstrual age from entering the temple ends. The Chief Justice, Mr. Dipak Misra clearly stated that Indian women have each and every constitutional right like men. So, it’s only fair if women from India are allowed to enter Kerala’s famous Sabarimala temple without any restriction of age. Now, all women are allowed to pray like men without even being discriminated against. Supreme Court’s five-judge Constitution bench also said that the series of landmark rulings which have been created on the basis of biological characteristics will also not be the muster constitution. The head priest of Kerala’s Sabarimala Temple, Kandaru Rajeevaru is not happy with the Supreme Court’s verdict as he clearly said that he is very disappointed. He also said that he is accepting the Supreme Court ultimate verdict on allowing women of all age to enter the temple. Kerala Government has also accepted this ultimate verdict finally!